Yesterday we did a tour of the Guinness Brewery. It was very crowded and impersonal but still a fun place to visit. I’m heading home tomorrow but have thoroughly enjoyed this meetup. 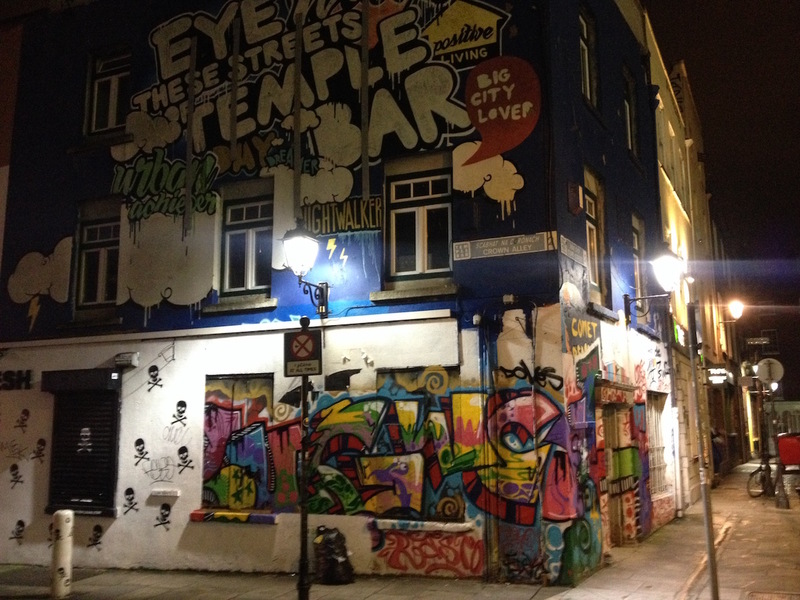 Posted in Journal and tagged Dublin, graffiti, Guinness, street art. Bookmark the permalink. 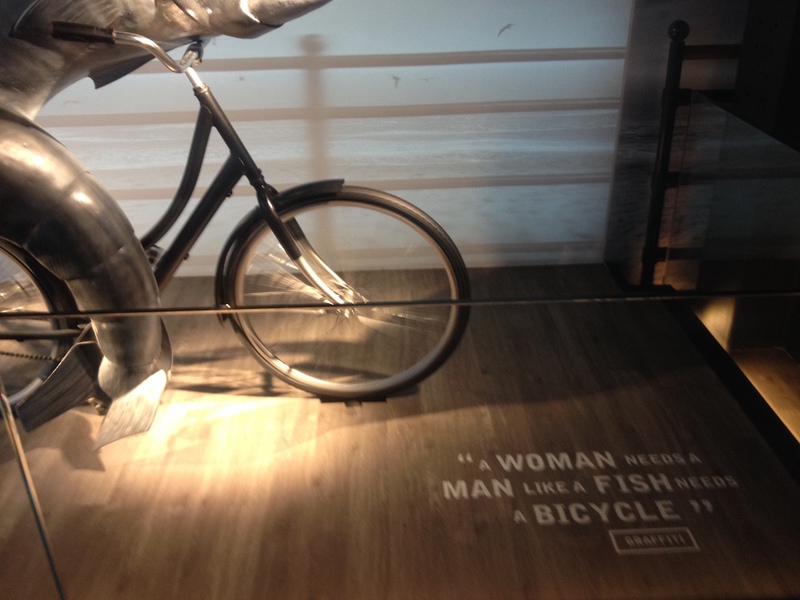 A woman needs a man like a fish needs a …bicycle, so does that mean a woman needs a bicycle like a man needs a fish??? Apparently Irish Guinness tastes better than in Scotland as it doesn’t have to be pasteurised, or maybe it’s a myth? Seemed true when I was in Ireland anyway. Guinness doesn’t travel well,that’s what us locals always say! Hope you all enjoyed my hometown. Annoyed I couldn’t make it cross country to the a8c talk at techmeetup.space to chat. I thoroughly enjoyed my stay in Dublin, thank you! I didn’t make it to the tech meetup evening as we couldn’t all go but I heard it went well. I had a tasting and it did taste very good. Maybe it’s the water?